This book is designed for use in a single-semester, less than six-credit hours, contracts course. Drawing on the best features of the case method, it departs from the standard, reference-oriented texts, in order to provide concise, coherent, and teaching-oriented materials with a focus on principal cases, questions and notes. 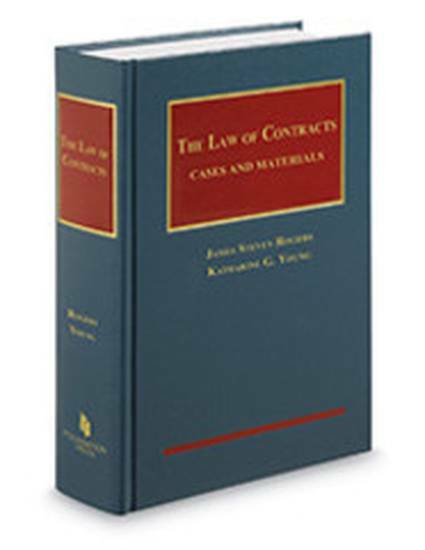 The goal of the book is to introduce the deep-seated topics of concern to the law of contracts with selective brevity, in choosing readings in classic and contemporary cases, and UCC and restatement sources, interesting hypotheticals and theoretical and practical reflections. This book also updates the conventional presentation of the subject by providing a more substantive treatment of the law of restitution and of relevant international and comparative materials.